Did you know Groupon has online coupons for a ton of retailers? I didn't until yesterday......and I spent quite a bit of time searching for my favorite stores. 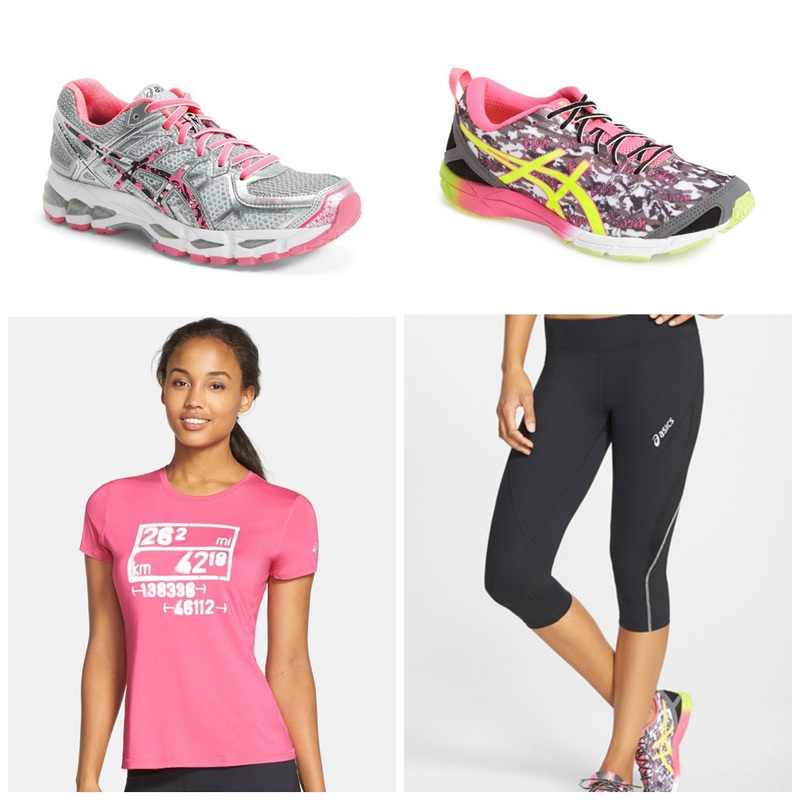 I scouted out some of the best deals on ASICS shoes and apparel. The promotion codes change frequently so these prices may vary. Right now, you can get amazing prices on some of ASICS most popular shoes including the brand new Gel Nimbus 17 Lite Show. You will not find these on sale right now, so this is a steal. Click here to be taken to the Kohl's Groupon page to activate your online coupon. The one I used for this pricing was for 20% my purchase (PS that code expires today!). Kohl's also carries a wide range of ASICS clothing, including my favorite Capri's, the Cleo Pop. Nordstroms has a selection of ASICS gear on their Anniversary sale. In fact, my best friend always buys her Gel Kayano's during this time of year. Click here to go to the Nordstrom Groupon Page. If you miss these sales, no worries - the Groupon retailer coupon codes are frequently updated and there are others who offer ASICS: Macy's, Nordstrom, Neiman Marcus, Kohl's, JCPenney. Many of these retailers will allow you to stack coupon codes as well! Here are a few tips on how to find your favorite stores coupons on Groupon.